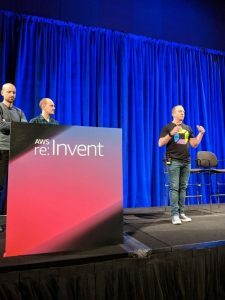 With over 50,000 attendees, AWS Re:Invent is a big conference for us. We had booths in two locations at the show and got to speak to and show demos to hundreds of customers, while at the same time announcing a bunch of things that make our story for cloud native monitoring on AWS even better. CloudWatch and CloudTrail data ingestion – Dynatrace now has the ability to ingest any metrics available in CloudWatch and utilizes that data when doing problem analysis. That means if performance issues in your app are being impacted because of AWS services – like a slow RDS database or S3 storage, Dynatrace can identify that external cause. This means that instead of looking at your Dynatrace data and alerts and manually correlating them to events and metrics in CloudWatch, you can see all your important CloudWatch metrics right in Dynatrace, and Dynatrace’s AI will also utilize those metrics when looking for anomalies and analyzing root cause. Dynatrace can also consume CloudTrail audit data, so if a person or process changed a setting that caused a problem, Dynatrace can identify that too. Fullstack monitoring, external service monitoring, and change auditing, all in one place. Here’s more info on how to get started using the additional metrics. The Container Competency released with a short list of partners who have achieved the competency designation, and Dynatrace is included as a Monitoring & Logging partner. It really speaks to how strong the Dynatrace container monitoring solution is, as well as our relationship with AWS. 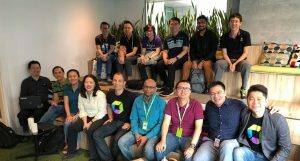 Dynatrace made a strategic investment into providing visibility into container and microservice solutions, and it’s rewarding to have AWS recognize Dynatrace’s capabilities. 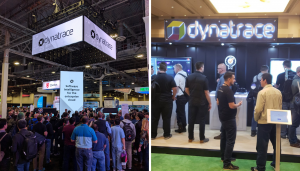 Dynatrace recognized a few years ago that cloud-hosted infrastructure was the future and made significant investments in building a solution that addresses the challenges of monitoring applications in the cloud. More than just monitoring hosts, you need a solution that can integrate data and events from IaaS and PaaS environments. A solution that can see everything – both in the cloud and on-premises and display the data from all those resources in context. My colleague Katalin wrote a great blog post of all the things you should think about when monitoring your cloud infrastructure. 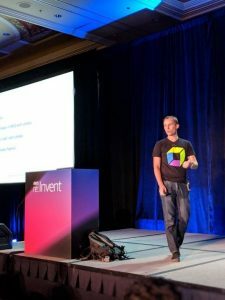 We were invited to deliver two breakout sessions at re:Invent this year. 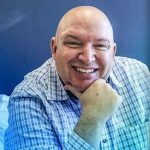 Andi delivered a session on “Self Healing Lambda Functions” (watch it here) and Peter co-presented with Carmen on breaking up your monolithic apps and migrating them to AWS. Overall, a solid week in Vegas! If you haven’t tried Dynatrace yet, getting started is super easy. Just click here to start a trial.